"Everything brave has to start somewhere," astrophysicist Sara Seager told a reporter in 2016 of the ongoing search for Earth-like planets and other signs of life in the far reaches of our universe. For Seager, who will be giving a plenary talk on the topic in Austin on Thursday, 14 June, as part of the SPIE Astronomical Telescopes + Instrumentation symposium, the Earth-generated equipment enabling that search includes a rich mix of telescopes, satellites and other technologies. The MIT professor who pioneered foundational research of characterizing exoplanets - planets that orbit stars other than our Sun - may not yet have the answer to whether or not we'll find extra-terrestrial life, but she does have a definitive list of the most-often asked questions that come her way. "Number one," she says, "is ‘What is an exoplanet?' Then - and this is the question people really want to know the answer to - they ask, ‘When will we find another Earth?' Because it's all well and good that there are so many planets out there: we think there are hot super-Earths, planets the size of Earth that are so close to their star that their surface is hot enough to melt rocks. We are not going to find life on those, and, really everyone just wants to know when we are going to find that Earth twin." Finding that Earth twin entails locating a planet in a not-too-hot-not-too-cold "Goldilocks zone," an orbit zone that allows the planet's water to stay in its liquid form and, possibly, sustain life. Question number three is the question she gets asked most often: Can we go there? When we find the other Earth, can we go there? "The great thing about exoplanet research is that the line between what is considered mainstream science and what is considered crazy is constantly shifting," Seager says. "So, actually, the answer to the question ‘Can we go there?' is ‘No - well, not for now.' And then the question is, ‘Well, if we can't go there, why look? Why are we bothering looking for them?'" And then I walk people through the fact that we have the Hubble space telescope and others coming online like the James Webb as well as giant ground-based telescopes, and that we can do what we call remote sensing, we can study planets far away. That's why we do it." That, because it's there and because we can approach has driven people to take wonderful, nutty, ambitious, path-breaking action since, well, time immemorial, and Seager fits snugly into that quintessentially human mold. As a young woman adventuring in Canada's wilderness, Seager embraced that sense of "Wow! It's all just so fresh and new and untouched! ", and that spirit clearly remains intact as she navigates the intricacies of her current work. As a speaker, the exoplanet expert, TED-talk star and MacArthur genius who fell for her star-studded life-work as a teenager during a University of Toronto Astronomy Day open house, Seager exhibits an impressive blend of deeply-ingrained curiosity and a palpable streak of pragmatism. "It's simply a different way of exploring, using computers and data," notes Seager. "You still have to take risks and solve problems and make decisions and have a plan, and I feel the same feeling of awe and the thrill of not knowing where it will lead me. There are just so many planets out there, thousands of planets that we know of, orbiting stars other than our sun. I want people to understand that we not only have our solar system - Venus, Earth and Mars, etc. - but that our galaxy, all the stars in the sky, are littered with exoplanets. There's untold numbers of them out there. And it's not only that they're out there, but the field is flourishing in that we can start to learn things about them. And there's an immense level of satisfaction that comes with that exploration." The other element that drives her is encouraging others. Her number one piece of advice for young people is: "Find something you love doing that you're good at." (Number two is "Learn how to computer program! Just the whole future with machine-learning and things like that, I really think it's all here to stay.") And key to her approach is raising awareness that many major inventions in our society come from pure science research. "When you think of physics astronomy space science, you can think of the laser which we use every day and in many applications from the grocery stores to surgery," she points out. "We have GPS; we wouldn't have that if people weren't fooling around with rockets. We have improvements in medical imaging from astronomy....Part of my goal in sharing my work is to get people interested in science in the hopes of increasing the numbers of Americans who go into science." The striking thing about listening to Seager is realizing that her pursuit - and ours - is still peppered with questions and uncertainty. But then, perhaps, that's what makes it so exciting. "The search for life on other planets, it's so very - I don't like to say it out loud - but it is kind of far-fetched, you know?" says Seager, without a hint of dismay. "We have to get really lucky," she continues, "for there even to be life on a planet that's orbiting a very nearby star that just happens to be bright enough so that we can see it." That doesn't mean it's not going to happen, though, and it's our fascination with that concept that drives humans on, scientists and civilians alike. "People just love the thought of aliens," says Seager. "People love science fiction and the thought of traveling and exploring - that's part of what it means to be human, is to explore - and I think that's a big part of why astronomy science in particular captures the public's imagination. People watch all kinds of movies like Interstellar or Arrival or The Passenger. People love space and science fiction and now it's just becoming reality. I mean we don't know too much about exoplanets, but we do know that they're out there." -Daneet Steffens is Public Relations Manager at SPIE. A plenary talk from SPIE Astronomical Telescopes + Instrumentation 2018. Launch of Transiting Exoplanet Survey Satellite (TESS) will compile rapid survey of almost the entire sky, yielding a list of new 'worlds' for detailed follow-up. The Transiting Exoplanet Survey Satellite (TESS) will search for planets transiting bright and nearby stars. A plenary talk from SPIE Astronomical Telescopes + Instrumentation 2014. 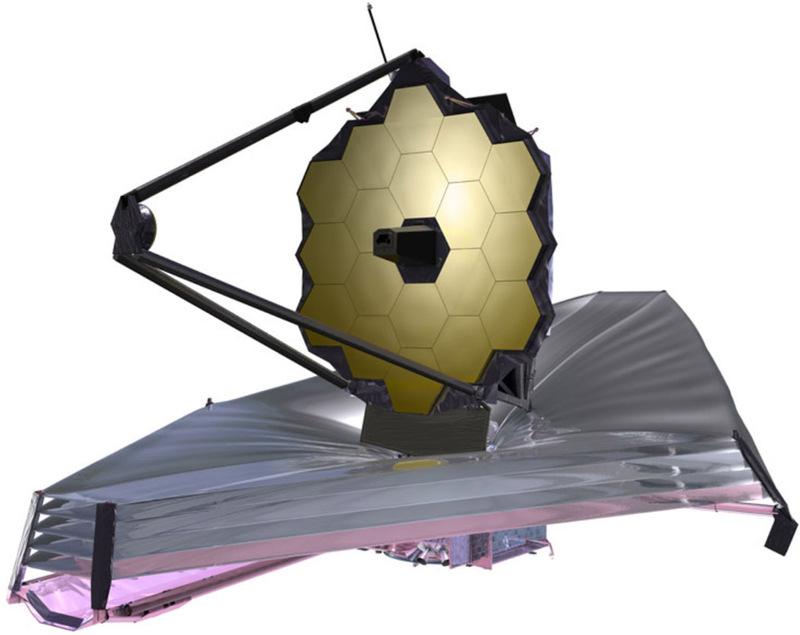 NASA's next flagship telescope will be aligned prior to launch, but its large size requires it to be folded into the rocket and realigned on orbit. The AIRS Instrument Suite makes monitoring water vapor and temperature possible on a global scale. Miniaturization of satellite remote sensing promises lower costs, and SeaHawk is a prime example, offering global coastal ocean color imagery comparable to previous larger and more expensive systems. Exo-S is a direct imaging space-based mission to discover and characterize exoplanets. Astronomers the world round peek further out into the universe --- and glean more than ever from their search.